While Preachers Dutifully Ponder the Doctrine of the Trinity, Our Congregations Shrink??? This Sunday is Trinity Sunday. In anticipation, preachers all over the world are dutifully pondering the Doctrine of the Trinity desperately searching for something to say to encourage their congregations. 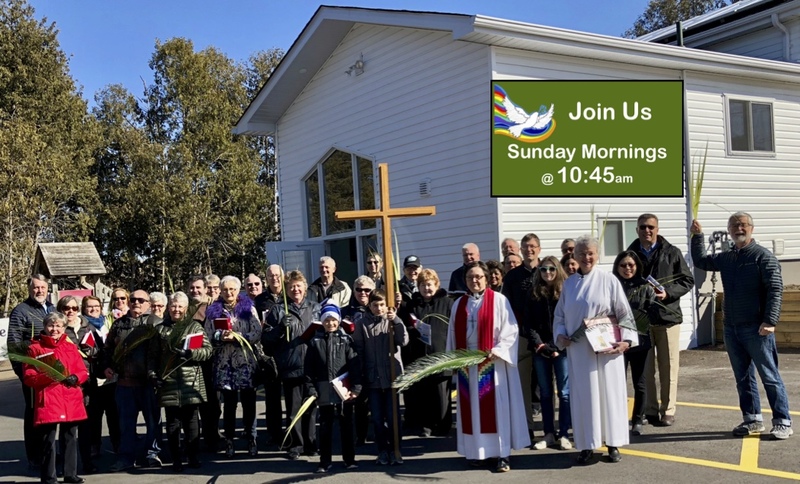 Preachers will trot out tired old clichés conjuring up images of triangles, shamrocks around, or point to H20’s ability to appear as water, ice, or steam while still maintaining it’s unified essence. Or have you heard the one about the 3 blind men and the elephant in the room. That old chestnut is trotted out by many a desperate preacher struggling to put flesh on the doctrine of the trinity. But for the life of me I can’t see how 1 blind man touching the elephant’s trunk and presuming that there is a tree in the room, while a second blind man catching wind of the elephant’s ear is convinced that there is some sort of giant fan in the room, while a third man grabs hold of the tail and is sure that he has hold of a rope, helps you to conclude that just because they’re all sharing a room with an elephant you can now confess that God is indeed Father, Son, and Holy Spirit, one God, forever and ever amen. But all sorts of mental gymnastics will be exercised in the vain attempt to make some sort of sense of the doctrine of the Trinity! 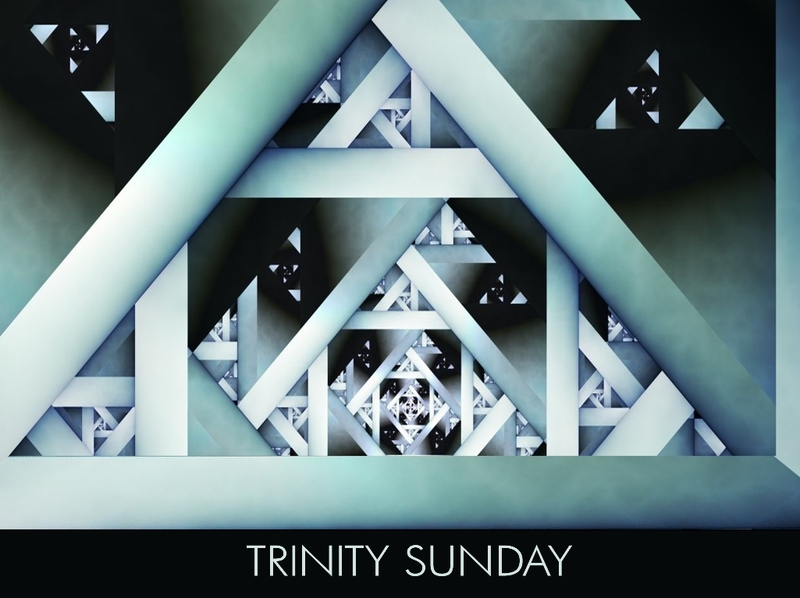 On Trinity Sundays, mindful of the fact that trying to explain the doctrine of the Trinity usually leads to heresy: dusty theological books that have not seen the light of day since last Trinity Sunday have been poured over to ensure that the formula’s learned in seminary are repeated correctly and heresy scrupulously avoided. The imaginative among us have attempted to baffle our congregations with our theological intellect, the pragmatic among us have attempted to baffle our congregations with something akin to BS, while the desperate among us have simply tried to survive the Trinity Sunday hoping against hope that no one will notice that we haven’t a clue what we’re talking about. I don’t remember the first time I ever saw him. I was barely 17 months old when my brother Alan arrived. Despite the fact that he ruined my gig as an only child, Alan and I grew close over the years. We moved around a lot so we became one another’s best friends. But we went our separate ways when we became teenagers. When I tell the stories, I say that we went our separate ways because Alan became preoccupied with sports. I suspect that when Alan tells the stories, he says that we went our separate ways because I became preoccupied with the church. Either way you tell it, family and friends used to say that it was hard to believe that we grew up in the same household. Alan developed a reputation for being a bit of a redneck. I developed a reputation for being a bit of a radical. Alan drove four-wheel-drives and went hunting. I drove old beat up cars and lived at an ecumenical retreat centre. Alan learned a trade, settled down and raised a family. I travelled the world and didn’t get around to figuring out what I was going to be when I grew up, I went back to school at the age of 30. Alan and I didn’t get around to understanding one another until we were in our mid-40’s. When I grew to appreciate the gentle man that he has become and Alan began to respect the person I’ve become. We still love to talk politics, but these days we tend to agree more than we disagree, I’m not sure who mellowed, the redneck or the radical. We don’t talk much about religion, though. Growing up, Alan would claim to be an atheist, and scoffed at my involvement with the church. These days, Alan, suggests he is an agnostic, and although he’s come to respect my life in the church, he still scoffs at the hypocrisy of the church. I still remember the very first time that I saw Manjit. Her face was the colour of pure milk chocolate. Her jet-black hair was long and wavy. She sat at the very back of the classroom. When the teacher introduced me to Manjit, her toothy grin welcomed me. We were twelve years old. I was the new kid in town and Manjit was the only East Indian in the class. We were to share a double-desk for the remainder of the school year. I remember my first trip to Manjit’s home. A science project needed our attention. I can still smell the aroma of Manjit’s home where exotic curries released their pungency into the air. Over several meals at Manjit’s, I learned to like my food hot and spicy. Manjit’s mother would blend her own spices and she never forgot to send a package or two of her specially blended curries home with me. Manjit is a gentle soul who introduced me to the wonders of her faith. Manjit is a Hindu. Manjit never tried to encourage me to become a Hindu. Although over the years she would remind me of the Hindu saying that admonishes Hindus to be better Hindus, Muslims to be better Muslims, Jews to be better Jews, Buddhists to be better Buddhists, and Christians to be better Christians. Manjit grew into a kind and gentle woman. She works as a social worker in Vancouver’s rough east-end neighborhoods. The last time I saw Manjit she was patiently guiding the students of a confirmation class that I taught, around her Temple. Later that evening Manjit and I talked a long time about Jesus. Manjit told me that she’d always been fascinated with Jesus’ teachings and that she had no problem believing that Jesus is God, but then she explained that Hindus have a thousand god’s. I can still remember the very first time that Henry walked into my office. A long black beard together with the yarmulke that he wore on his head gave Henry away. So, from the very beginning I knew that Henry was Jewish. But it took a few years of working together before I discovered that in addition to being a graphic artist, Henry is also a rabbi. Henry became a dear friend of mine and over the years he shared so much of his wisdom with me. Many a night Henry and I sat up to the wee hours discussing the Scriptures. Henry even arranged for me to study Hebrew at his Yeshiva. I learned a great deal from Henry. We often talked about Jesus. We rarely agreed about Jesus, but we often talked about him. Alan, Manjit and Henry, some would call them an unholy Trinity. But to me they are, each of them, sacred. Trinity Sunday is my least favorite Sunday of the Church year. It’s the only festival of the church year that is designed to celebrate not God, nor Jesus, not even the Holy Spirit, but rather a doctrine of the church. The notion that God is One in Three; a doctrine that was created by theologians to explain the inexpressible, a doctrine the church “fathers” began to cast in stone in the words of the Apostle’s, Nicene and Athanasian Creeds. Three Creeds that make up an unholy trinity in and of themselves. Three Creeds that the Lutheran Church continues to hold as articles of the faith. Three Creeds that continue to hold sway in our church.Three Creeds that in my humble opinion make up an unholy trinity. Three Creeds upon which the doctrine of the Trinity rests. I don’t remember the first time I ever saw him. I was barely 18 months old when my brother Alan arrived. Despite the fact that he ruined my gig as an only child, Alan and I grew close over the years. We moved around a lot so we became one another’s best friends. But we went our separate ways when we became teenagers. When I tell the stories, I say that we went our separate ways because Alan became preoccupied with sports. I suspect that when Alan tells the stories, he says that we went our separate ways because I became preoccupied with the church. Either way you tell it, family and friends used to say that it was hard to believe that we grew up in the same household. Alan developed a reputation for being a bit of a redneck. I developed a reputation for being a bit of a radical. Alan drove four-wheel-drives and went hunting. I drove old beat up cars and lived at an ecumenical retreat centre. Alan learned a trade, settled down and raised a family. I travelled the world and didn’t get around to figuring out what I was going to be when I grew up, I went back to school at the age of 30. I will confess that Martin Luther had much more at stake, literally at stake, than I do, because the truth is that for centuries the punishment for heresy would have found many an ancient preacher burned at the stake. But while the death penalty for heresy has been lifted, the risk to one’s sanity remains. – The doctrine of the trinity, as we know it, was first formulated in the fourth century, by a couple of guys named Gregory and a woman called Marcrina. I don’t remember the first time I ever saw him. I was barely 18 months old when my brother Alan arrived. Despite the fact that he ruined my gig as an only child, Alan and I grew close over the years. We moved around a lot so we became one another’s best friends. But we went our separate ways when we became teenagers. When I tell the stories, I say that we went our separate ways because Alan became preoccupied with sports. I suspect that when Alan tells the stories, he says that we went our separate ways because I became preoccupied with the church. Either way you tell it, family and friends used to say that it was hard to believe that we grew up in the same household. Alan developed a reputation for been a bit of a redneck. I developed a reputation for being a bit of a radical. Alan drove four-wheel-drives and went hunting. I drove old beat up cars and lived at an ecumenical retreat centre. Alan learned a trade, settled down and raised a family. I travelled the world and didn’t get around to figuring out what I was going to be when I grew up, I went back to school at the age of 30. Alan and I didn’t get around to understanding one another until we were in our mid-40’s. When I grew to appreciate the gentle man that he has become and Alan began to respect the person I’ve become. We still love to talk politics, but these days we tend to agree more than we disagree, I’m not sure who mellowed, the redneck or the radical. We don’t talk much about religion, though. Growing up, Alan would claim to be an atheist, and scoffed at my involvement with the church. These days, Alan, calls suggests he is an agnostic, and although he’s come to respect my life in the church, he still scoffs at the hypocrisy of the church. By the way, just so we’re clear, I rummaged through some of my previous sermons on the doctrine of the Trinity and I must confess that if this were the twelfth century, an angry mob would be stoking up the fires beneath my feet because based on things I have proclaimed on various Trinity Sundays a charge of Modalism could very successfully be laid against me, as could a charge of Sabellianism. You might be interested to know, that more traditional preachers than I, will no doubt preach sermons this Sunday which will prove them guilty of Arianism or at the very least Subordinationism. All of these heresies in a bygone age would have left us with a severe shortage of clergy in the church, as many of us would be smoldering at the stake for our crimes. Deciding who is right and who is wrong, who is in and who is out is a deadly preoccupation of humanity, a preoccupation that the church has not been able to escape. So, with apologies to Dr. Luther, I’m going to go ahead and risk my salvation by declaring that the doctrine of the trinity is but a feeble attempt to comprehend the incomprehensible mystery of the very nature of our God. We can echo all the creeds of Christendom with as much confidence as we can muster, and as enlightening as some of those creeds may be, they cannot begin to unravel the mystery of the creator of everything that ever was and ever shall be, nor can they fully describe the magnitude of the revelation provided in the life, death and resurrection of the one we call Christ, and when it comes to the power of the Holy Spirit, all our creeds together cannot tell the story of her wondrous beauty. The doctrine of the trinity is just a tool to help us along the way, the trinity is not God, nor is God the trinity. The trinity is merely a way to speak of the unspeakable. And yet down through the centuries we have used the doctrine of the trinity as an idol and demanded that we worship the trinity as if it were God’s very self. We have worried more about believing in the trinity than relating to the very One whose relationship the Trinity attempts to describe. For when it comes down to it, what we know of our God finds expression our attempts to describe God as a relational being. For what is the doctrine of the Trinity if it is not the declaration that God is Creator, Christ and Spirit, intimately connected as One; at God’s very core we find a relationship. This should be our first clue that any understanding of God must begin with relationship. Surely it is more important to experience God than to explain God. Surely it is more important to relate to God than it is to preserve a doctrine that has long since failed to describe God. You’d think that after nearly 2000 years the Christian church would have learned to be more humble in its declarations about God. And yet, today, as we strive to learn more and more about creation, some things remain out of bounds. The church remains unwilling to revisit long established doctrines, choosing instead to insist that we simply believe, because what was good enough for grandma ought to be good enough for us. And if we should doubt the doctrine of the Trinity then all we need to do is study harder and we will eventually understand. And if we are unwilling to work at understanding the Trinity we should simply trust that folks much smarter than us have figured it out so we should simply stop questioning and simply mouth the words. Let the tired clichés and the worn out illustrations suffice, forget about our questions and simply drink the kool-aid and our doubts will somehow magically disappear. And so together we focus on believing what has been handed down to us. And for a great many people that’s good enough. All we really need to do is believe, to have faith and all will be well. 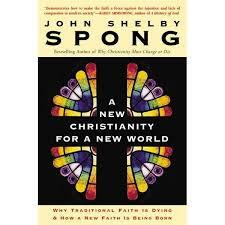 But oh so many more of us have grown weary of the tired insistence on belief; you only have to think of the children missing from our churches to know that our doctrines are failing to engender relationship. I’d like to be able to say, here just learn this and believe this and all will be well, all we need to do is figure out more up to date methods to deliver the same old doctrines and your grown children will learn to believe, but I too have my doubts. You see I don’t believe that the point of a religion is to engender belief. I believe that the point of religion is much bigger than belief. For if a religion does no help you relate to God or to God’s creatures, or enhance your experience of creation, then religion is not life giving and all its doctrines are but fleeting attempts to deny death. It is far more important to have a relationship with our God than it is to understand doctrines about God. In so far as the doctrine of the trinity helps us to relate to God then it can be said to be life-giving. When the doctrine of the trinity helps us relate to God’s creatures and to God’s creation, then it can be said to be life-giving. But reduced to a formula that we must believe the doctrine of the trinity runs the risk of inhibiting our experience of God and robbing us of a life-giving relationship with God and with the world that God loves. I am convinced that the only way to ensure that the doctrine of the trinity remains life-giving is to free it from the confines of the past. Despite it’s fear, the church must re-examine its creeds and confessions, open up our dusty doctrines to the light of the 21st century so that those that fail to enhance our relationship to God and to one another can be given a decent Christian burial and those that nurture our relationship to God and to one another can thrive. We need to prioritize relationship and experience over ancient creeds and doctrines, least our preoccupation with correct belief causes us to miss an encounter with our God. Trying to understand the very nature of God, is, when you think about it actually an arrogant thing for simple creatures such as we. We cannot hope to understand the nature of God. So perhaps the most faithful sermon on the Trinity is one that merely sniffs around the edges of the mystery, hunting for something closer to an experience rather than an understanding. 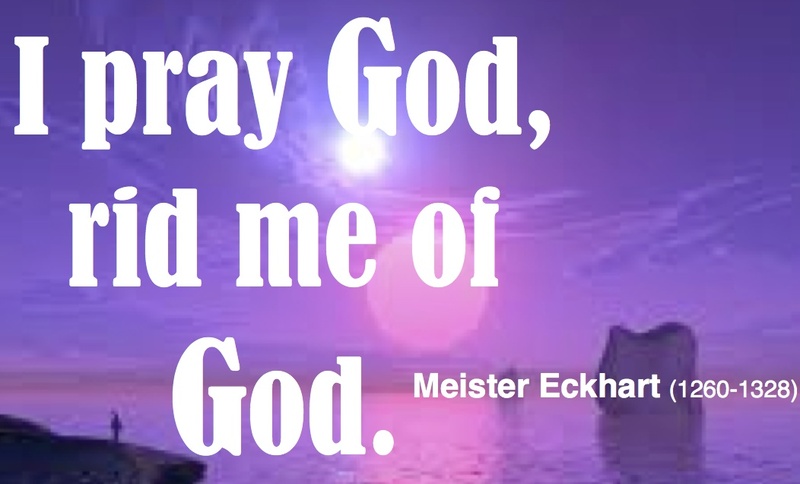 God is the elusive stranger. 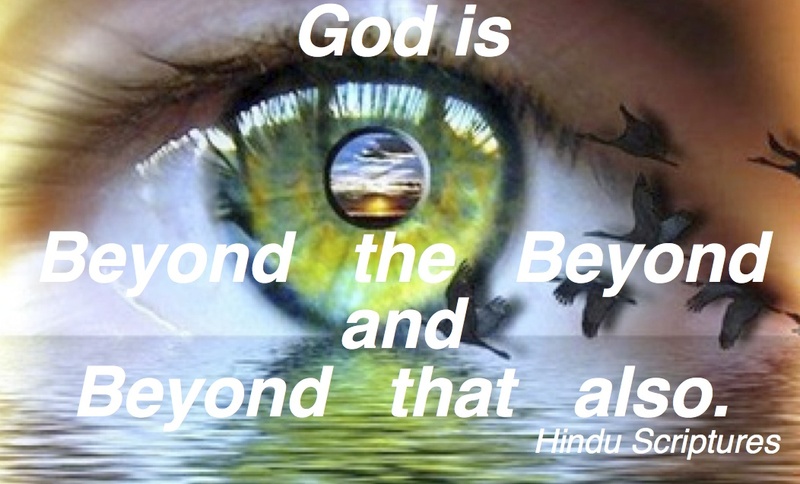 Sometimes it is possible to identify God, before God gets away. But most of the time we only recognize God after God is gone, like the drifter who wants to tell you his story only you do not have time, so you hand him a dollar and walk away. Or the woman with the tearstained face who disappears while you decide whether to ask her what is wrong; or the bewildered child whose mother scolds him for being alive and whose sorrowful eyes catch yours just as she drags him away. These are the strangers who lay claim to our hearts, although they make no claims for themselves. In their presence we fail them. It is only after they are gone that we know who they were. That is why it is so easy for us to sacrifice them. We did not know. How could we have known? Who expected Christ to show up looking like that? Is it possible for us to attend to our peripheral vision, to see out of the corner of our eyes, to notice those faint sounds of birdsong in the background, to catch those elusive fragrances, that might well be God, the Holy One, coming to us in ordinary space and matter, longing for an intimate encounter? Let us be ready to notice the Spirit of God in a burning bush, to turn aside for a moment in order to encounter the mysterious, intimate God who comes to us, so that in the power of the trinity we ourselves may be made holy! Heirs with Christ – inheritors and distributers of all God’s love. There you see, I’m not suggesting that we toss it all away. Down through the centuries God has revealed so much. I’m simply pleading that we walk humbly with our God. And revel in the mystery. In a dusty library years ago, I discovered a pearl about the Trinity, which I treasure. It came from St. Augustine, a 4th century bishop who helped to craft the doctrine of the trinity. 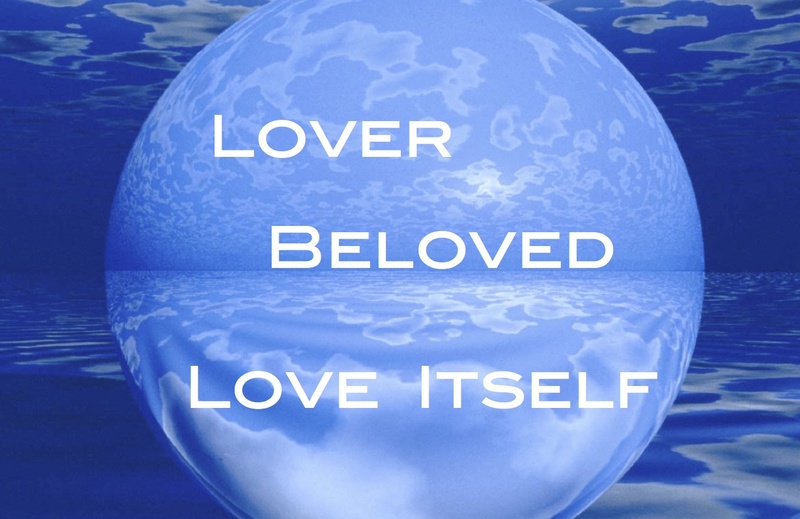 God is: Lover, Beloved, and Love itself. May we learn to walk humbly with that love.